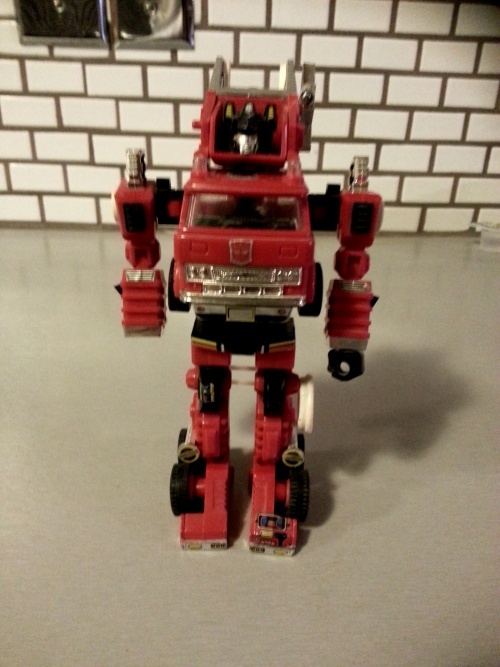 The Takara Red Shoulder Scopedog is another robot that I bought during my Japan trip in July, 1985. According to my recently found list, I purchased this for 16 dollars. 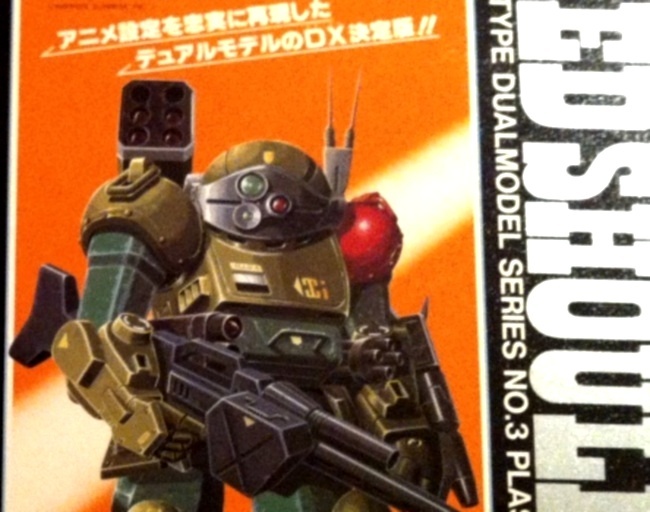 There was this version (to denote the elite red shoulders unit), the basic Scopedog and the red Brutish Dog. As you can see, he’s quite well armed with a rifle, rocket launcher and gatling gun. 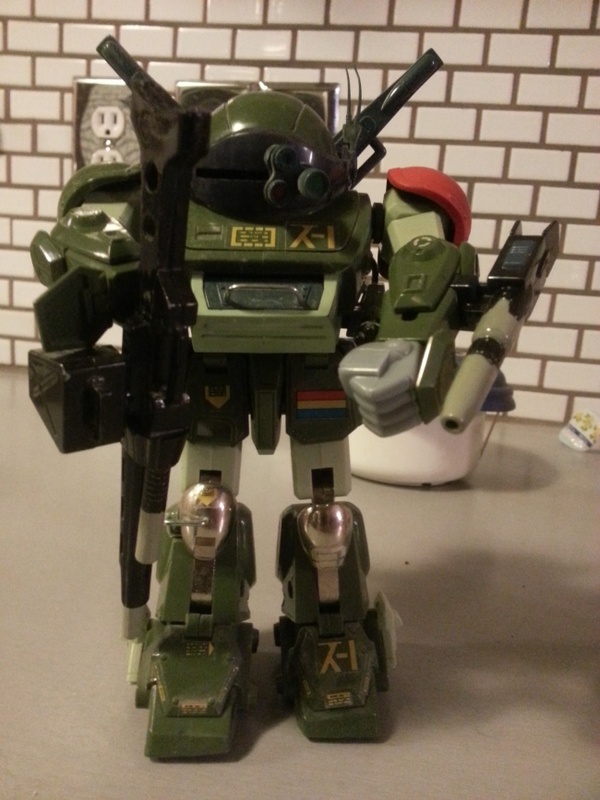 To me, this series was much more realistic than Gundam because I could really see people controlling these robots On a side note, I searched the net and it appears that they are issuing other Votoms toys as well, which is cool because I wanted to see the other mecha as toys but I only saw them as model kits. 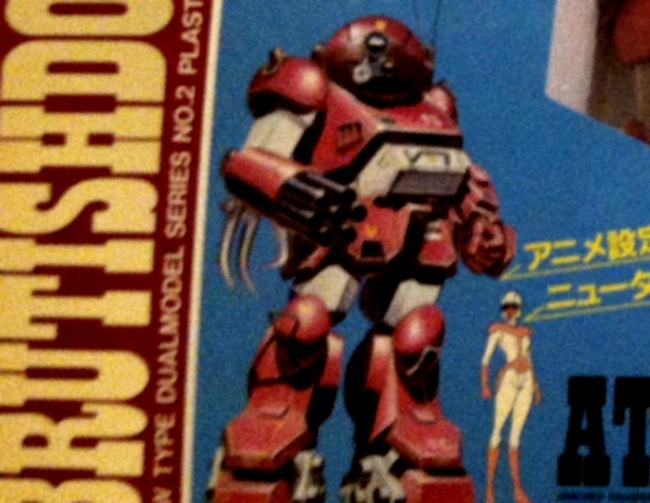 Here is the episode credits for the original series Armored Trooper VOTOMS(装甲騎兵ボトムズ) from 1983-1984.